Boro Sisters. 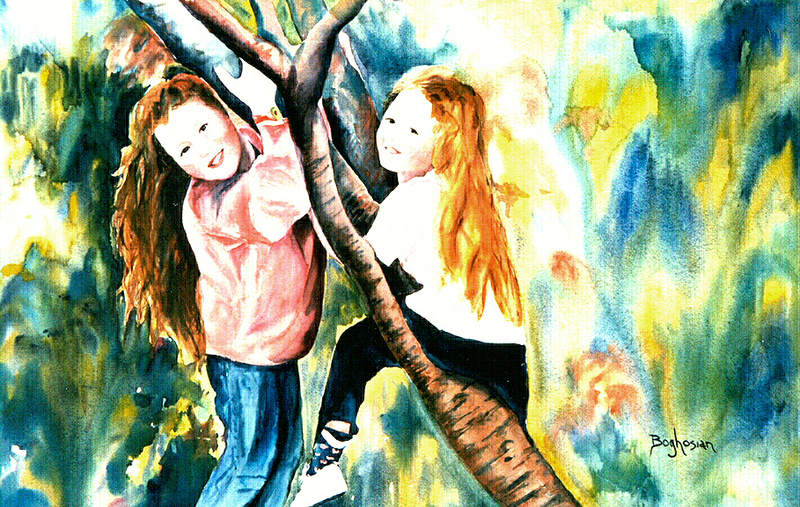 Watercolor Commission hanging in a private collection. Fresno, California.